The weather recently has been pretty good. Clear sky’s, crisp at night but getting slightly warmer during the day…time for a walk methinks. 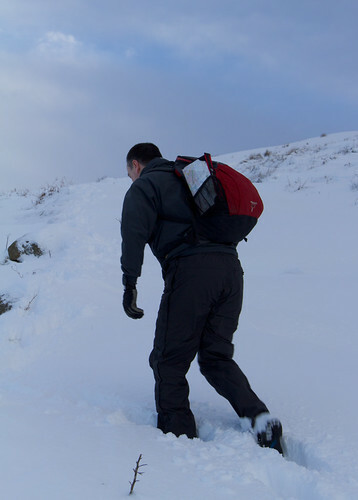 We considered a munro last weekend but blizzards at that height and pretty bad windchill predictions put us of. 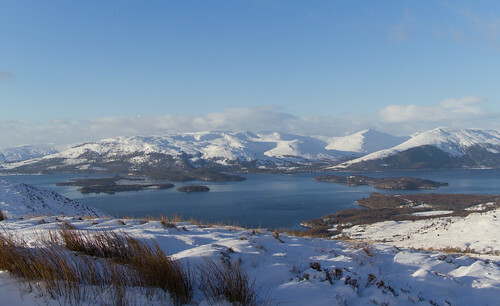 We considered a munro for today but there’s still a lot of snow on the hills so we settled for something local that’s easy to climb but promised good views if the clear skies held – Conic Hill. 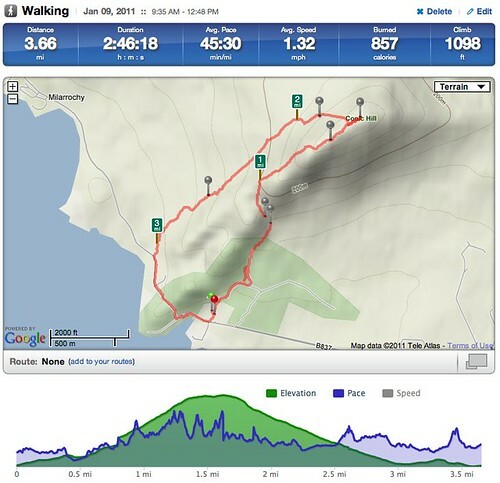 Conic Hill is easily accessed from Balmaha car park. It only takes just over an hour to climb but as you can see from the photo’s here and at Flickr you can get some great views if the weather is clear. What was still a surprise was the amount of snow at this low level. We were up to out knee’s and sometimes more on the ascent and there was some ice to watch out for as well. Thankfully I’d picked up a pair of gaitors so my feet and legs kept dry. After returning to the car park we bumped into a work colleague who’d got up at 04:30 to get to Ben Lomond summit for sunrise. He said crampons and pick axe were a must for the conditions up there so we had made the right choice. For next winter it looks like they’ll be essential purchases. 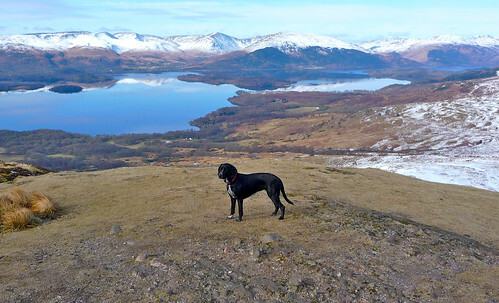 Star of the day was Milly who seemed to have no problem with the climb or the conditions, even cooling off at the end with a wee swim in Loch Lomond. I say cooling off but she was shivering after a few minutes in the water – bless. 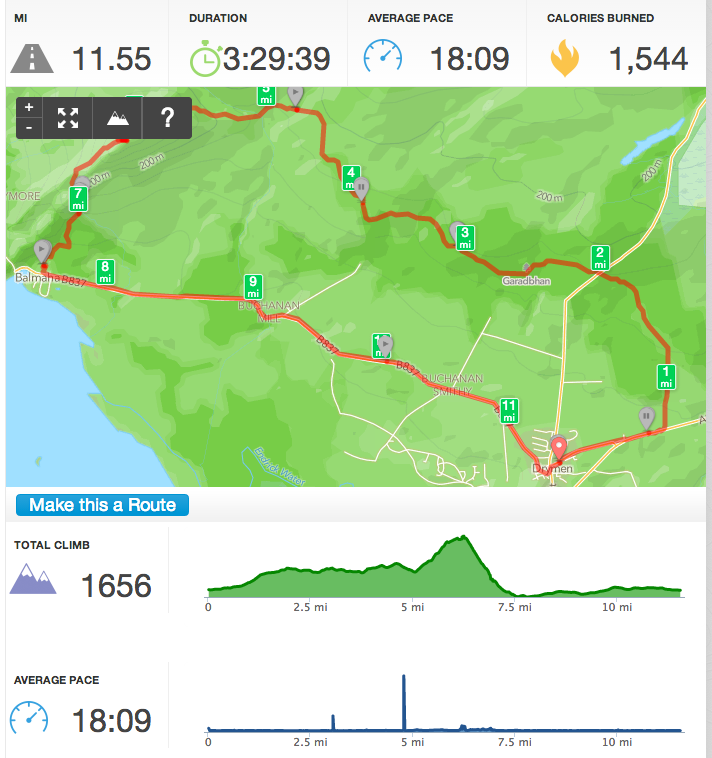 So that was Conic Hill, a cracking walk to dust off the cobwebs or when the weather elsewhere prevents a more ambitious climb.